Ashville Aggregates provide grab hire Slough, West London and surrounding M25 Areas with our fleet of 8-wheel, 32 tonne grab load lorries. Grab Hire Slough is an efficient and cost effective way to remove both domestic and commercial waste. 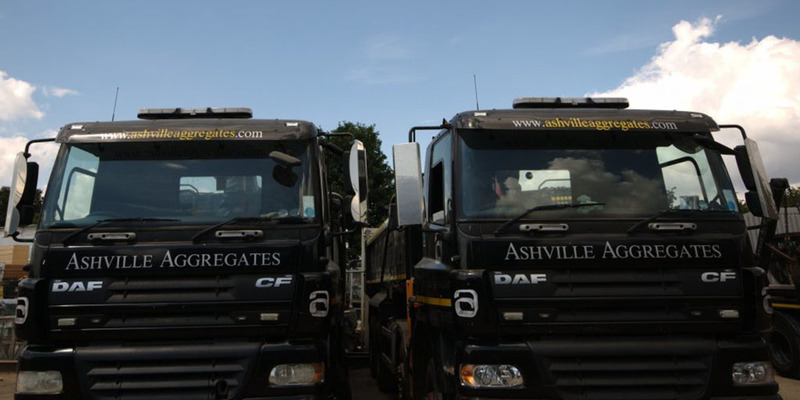 The entire Ashville Aggregates fleet is regularly maintained and has the latest in safety and technology fitted. As a FORS gold operator we strive to continually improve and provide a service which is reliable and efficient. We serve both domestic households and the entire construction industry. Whether its a basement excavation or a new front drive, we can remove waste and supply material. Ordinarily, we provide service with our 8 wheeler, 32 tonne lorries. However, for sites with restricted access the 4 wheeler 18 tonne grab lorry, also known as the “Baby Grab” is perfect. We understand the importance of reliability and quality. We know in many cases it is essential for waste to be removed in order for further works to continue. Both our primary and secondary aggregates are of the highest quality, meaning we can provide a complete turn-key, waste removal, aggregate supply service. We can provide Grab Hire Slough on a next day basis. We can charge per load or day and operate seven days per week. Night work is also available for utility companies and local authorities. We take great pride in our fleet of lorries, and all are maintained and cleaned regularly. Our state of the art tracking system means we can monitor, adapt and communicate with our staff regularly, ensuring we can remain efficient and responsive. Visit our dedicated Grab Hire Slough site here.